Six Nations Rugby will remain available to Freeview and Freesat homes until 2021 following a new deal, which will see the BBC and ITV sharing coverage from 2016. The two broadcasters came together to thwart Sky's bid for the rights, which would have seen the annual tournament going behind a paywall. 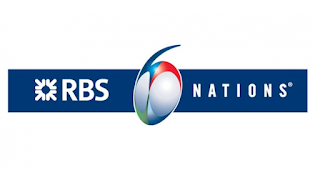 The BBC wasn't able to bid high enough to retain exclusive TV rights and joined forces with ITV in a bid that was accepted today by the Six Nations Committee. Bidding for the rights was reportedly opened up to pay TV operators in the hope that BT and Sky would fight for the rights giving the sport a cash boost, but this failed to materialise. The new deal brings the Six Nations to ITV for the first time in its history and extends BBC Sport’s current contract, allowing fans to continue to access the championship across BBC TV, BBC Radio 5 Live and online. Under the terms of the deal, each year ITV will gain live coverage of England, Ireland and Italy home matches and Scotland, Wales and France away matches. The BBC will show live coverage of Scotland, Wales and France home matches and England, Ireland and Italy away matches. "As ITV prepares to bring viewers exclusive, free-to-air live coverage of the Rugby World Cup later this year, we're delighted to be strengthening our ties with the game by bringing audiences the first class, live action and unique atmosphere of the RBS 6 Nations from next year." ITV did have some 5/6 Nations coverage at the turn of the century, showing highlights or delayed coverage of England home games (and possibly France too) when Sky had exclusive rights to those matches. It was still the Five Nations then, which is why the press release said it's the first time ITV is showing the Six Nations.